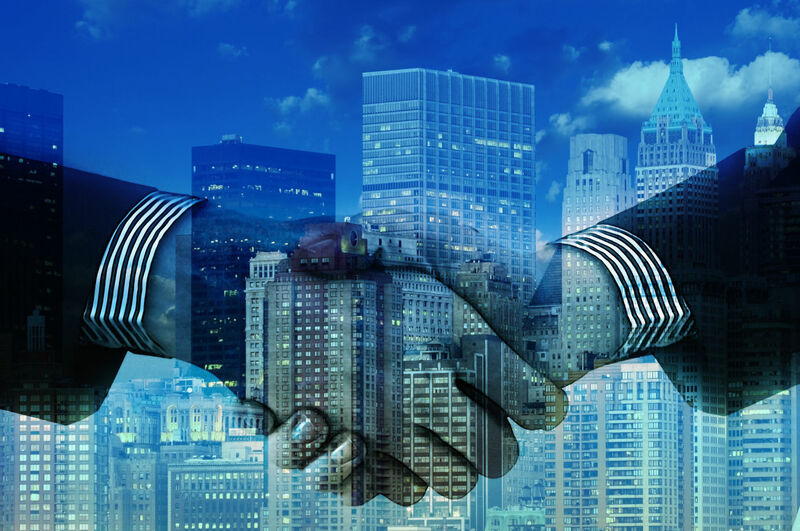 The US – Mexico – Canada Agreement (USMCA) is generally welcome news for business in Canada primarily because it provides stability in Canada’s trade relationships with the US and Mexico. There are few substantial changes from the old NAFTA and this fact has been scored as a victory for Canada given the somewhat tumultuous negotiations. Formal signature will occur in 2018 with full ratification and implementation in 2019 or perhaps even 2020. Below is a summary of some of the major changes. 1. Dispute resolution: This is unchanged from NAFTA and sends disputes to an impartial tribunal for resolution. The alternative, proposed by the US, was to have disputes settled by the domestic court systems in each country. 2. Sunset clause: The expiration of the agreement is after 16 years but substantial review will open after 6 years. The US had proposed a complete expiration and re-negotiation after 5 years. 3. Dairy Industry: The US will have greater access to Canada’s domestic dairy products market. This amounts to about 3.6% market share in Canada for US producers. 4. Intellectual Property: Current copyright extends 50 years after the death of the creator of most intellectual property (books, manuscripts, etc.). This is now extended to 70 years. 5. Pharmaceuticals: Patent protection for biologic classed pharmaceuticals is extended for 10 years before generics can be produced and sold in Canada. 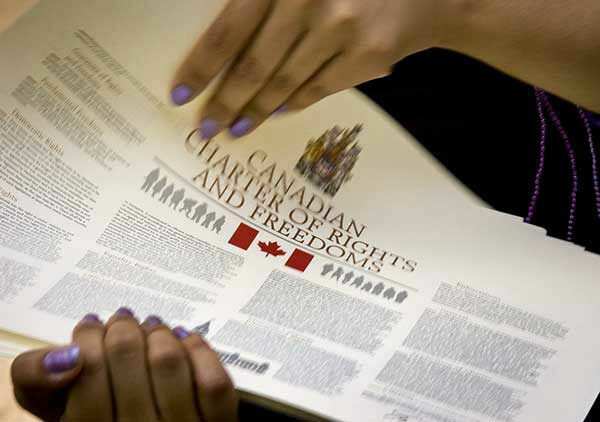 This is an increase of 2 years from the current 8-year protection in Canada. 6. Non-Market Economy Trade Agreements: 90 days prior to opening trade agreement negotiations with non-market economies (i.e. China, Russia, or other non-capitalist states), Canada must notify the US of its intention to do so at which point the US has the option of withdrawing from the USMCA. 7. Rules of Origin (auto industry): Duty free trade in the auto sector is ensured if a minimum of 75% of the value of the automobile or parts are produced in North America (Canada, the US or Mexico) AND 40-45%% of the labour value was added by workers earning $16.00 or above by 2023. This is a change from the current 62.5% rule of origin and no provisions for labour rates. a. The US reserves the right to invoke “national security” duties if the total value of Canadian exports to the US exceed 2.6 million passenger vehicles and $32.4B in parts. Canada’s exports are currently about 1.6 million vehicles. 8. Aluminum and Steel Tariffs: There was no agreement to reduce current US tariffs on Canadian aluminum or steel exports to the US. These tariffs are based on “national security” concerns in the US and are most likely fueled by US worries that Canada could be a transhipment (conduit) for steel from China or elsewhere. Discussions are ongoing to resolve this dispute. 9. Online Shopping: For on-line purchases from the US (apparently excepting those delivered by Canada Post), the USMCA increases the dollar value (from $20 to $150) of goods purchased prior to duties being imposed. The tax emption (GST, PST, HST) value increased modestly from $20 to $40. This applies only to on-line purchases. 10. Investor Protection: For the US and Canada, previous (and complex) NAFTA provisions which allowed lawsuits against governments for policy changes affecting future profits are eliminated. 1. Canada retains access to the US (and Mexican) markets without disruption. Investor who may otherwise have been nervous about Canadian investment given a protectionist US should be relieved. 2. The US will have greater access to the Canadian dairy products market in Canada. There will be modestly increased competition in this sector. 4. 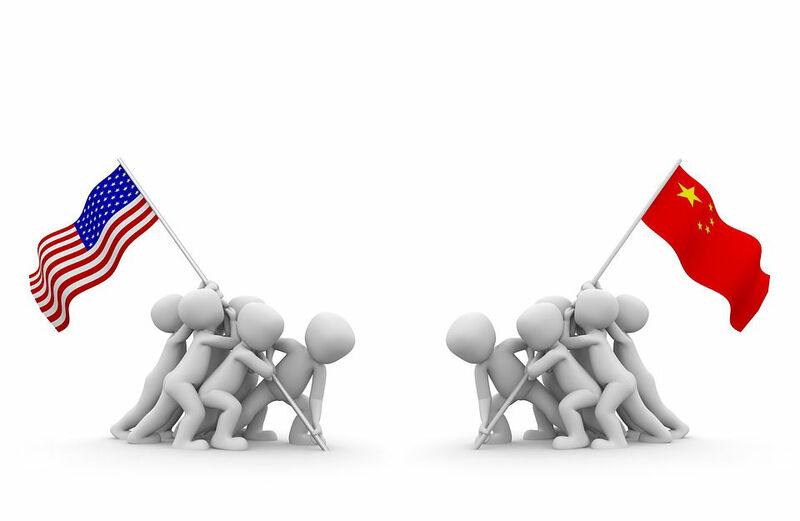 Trade negotiations between Canada and China (or other non-market economies) will be subject to US approval. This makes agreements, in the short run, more difficult although the concern surrounds imports from such countries not exports. Where the US is concerned is that Canada (or Mexico) could become conduits or transhipment points for lower priced goods or raw materials. Canadian firms currently (and prospectively) exporting to China need not be concerned except insofar as China wishes to expand reciprocal free trade. In the final analysis, the USMCA is remarkable for how little has changed. Nonetheless, the relative certainty offered by the USMCA will help business in Canada and elsewhere. The recent increase in oil prices form a low in the $40 range to current prices in the $70 range are based on economic recovery in the US, continued global demand from based on economic growth, and supply restrictions in OPEC producing countries to keep prices high. 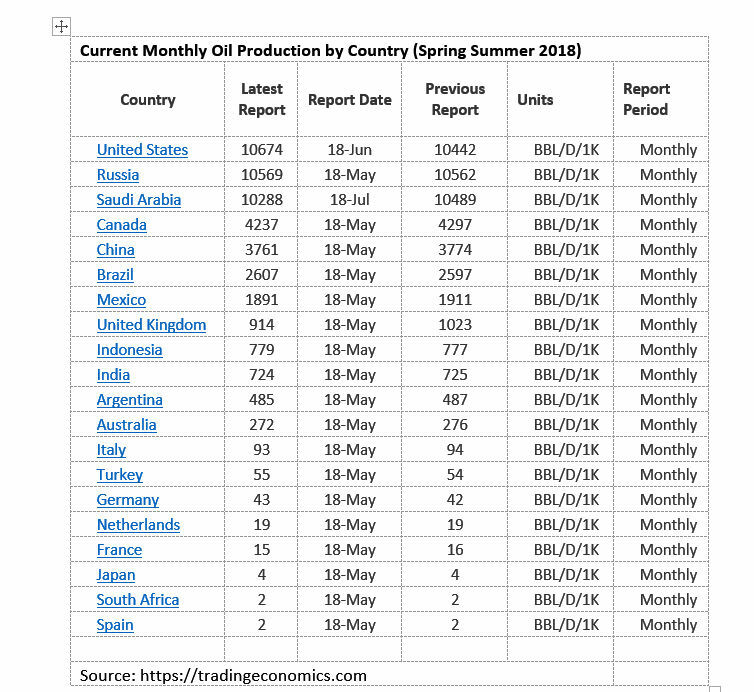 However, if growth slows, OPEC quotas increased, or the US, Russia, and other players increase production, the current prices are likely to fall. Moreover, the growing conviction that peak oil demand is on the horizon suggests that eventually supply will outstrip demand. Scarcity will be replaced by abundance. But how realistic are any of these scenarios? China is already experiencing slower economic growth than in the last 10 years. Its economy is transforming from being export led to one that is consumer driven. The rise of the Chinese middle class does bode well for automobile purchases and increasing oil demand as a consequence. Further, as China shifts from coal-fired electrical generation to other forms, some increase in fossil fuel demand can be expected. This, however, will likely be natural gas as opposed to petroleum. Of course, China continues to innovate on solar power, battery technology, and other alternative energy sources. India continues to grow and is highly import dependent for its fossil fuels – proportionately even more-so than China. The growth of the US economy is continuing but will likely be moderated in late 2018 up to early 2020 by increasing interest rates. Growth in Europe is stagnant. The net result of all of this is slower economic growth in the near term than has been experienced in the past several years. 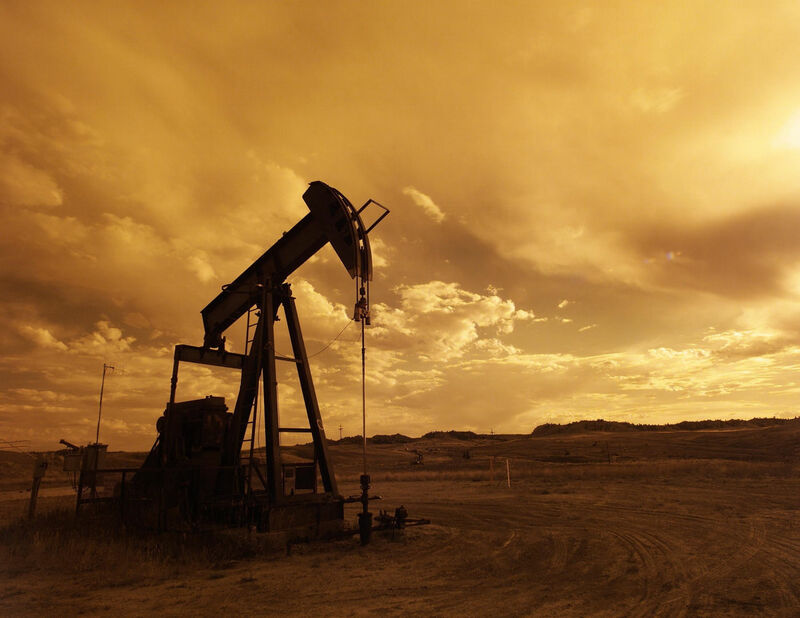 Slower growth means demand for oil is likely to grow more slowly as well. The increase in US domestic production of oil is significant. The US is now the world’s largest producer of oil exceeding even Saudi Arabia’s output. The macro-political fallout from shale oil (and gas) in the US has, to date, been minimal. While the US is still a net importer of oil, it is now the second largest importer (behind China). The US is more self reliant on its own oil production than anytime since at least the 1960’s. Russia has also ramped up oil production and is the third largest producer and a net exporter with substantial markets in China and Europe. OPEC quota decreases have reduced, or at least limited, Middle-Eastern production. However, this reduced production is not a result of reduced OPEC capacity. Capacity still exists for increased OPEC production and reduced demand (or prices) will likely force OPEC into increased production to maintain constant revenue flows to central governments. The net result is increased global production which will put downward pressure on prices. Approximately 65% of global petroleum is used in the transportation sector. Increased fuel efficiencies, the substitution of electric or hybrid vehicles for petroleum power, even in goods transportation (largely trucking), will mean reduced petroleum demand. In addition, biofuels (while not necessarily reducing greenhouse gas emissions) are increasingly viable alternatives to conventional gasoline and diesel. Of course, it is unlikely in the medium term that petroleum substitutes will or could completely displace oil as a transportation fuel. Nonetheless, demand in the transportation sector is likely to decrease at an increasing rate. For the remaining 35% of oil that is not used in transportation, much the same analysis is at play excepting petrochemicals where oil substitutes are not readily available. The long-term outlook for oil is not bleak. Nor is it bullish. Increased production, the increasing availability of substitutes, and slower rates of economic growth all point to this conclusion. If prices for oil drop, however, this will set in motion self-corrective forces. It will take longer for substitutes to become economically viable, production will decline from high cost sources, and the market for oil will stabilize. Barring extreme shocks such as war in the Middle-East, the imposition of unprecedented and unexpected carbon taxes, or other unforeseen events, massive increases in or declines in oil prices are not on the horizon. But another oil boom is not on the horizon either. If what we are seeing is an oil “boom”, it is likely the last one. 1. Net exporters of oil (including Canada, Russia, and OPEC) will increasingly be competing for a shrinking market. There will be a short-term rush to capture market share and build infrastructure to deliver. 2. The decreased dependence of the US on imported oil will augment US political independence and a willingness to experiment with unilateralism in foreign policy and forge new and different relationships with middle-eastern states. 3. Canada’s continued reliance on the US as the single market for oil exports will increase Canadian dependence on the US. 4. China and India are both growth markets but India is heavily reliant on the Middle-East and China on both Russia and the Middle-East. Look for China to attempt to continue to diversify its supply by purchasing assets in other producing countries where there is a reasonable probability that production can be exported to China. 5. Domestic (Canadian) investment in high cost long-term production capability will decline in favour of short-term rapid ROI from existing oilfield depletion. 6. Oil security of supply issues will lead to domestic exploration and development in China, India, and other emerging markets. 7. The economic viability of oil substitutes will diminish as “peak oil” demand approaches. 8. There is little reason to panic that oil prices, in the short run, will drop. In the long run, as substitutes are found in the transportation sector, as production capacity increases in the US and elsewhere, and as the movement to carbon taxes increases consumption costs, prices are likely to fall in relative terms. How much is the question. The following observations are from various sources. They are meant to stimulate thought. For exact sources and detailed analysis, please contact the author. 1. The US is the world’s largest oil producer, exceeding Saudi Arabia. 2. The US produces roughly 2.5 times as much oil as Canada. 3. The US is increasing self-reliant on its own production – producing over ½ of its needs. 4. US imports of oil are diversified. Each country exporting to the US needs the US more than the US needs any one of them. 5. Imports from Canada are about 10% of US demand. 1. Total Canadian proven reserves are about 170 billion barrels or about 10% of global reserves. 2. Canada’s oil production is only slightly more than China’s and is less than ½ of Russia’s. 3. Canada exports about 2/3 of its production – almost all to the US. 4. Canada needs the US market more than the US needs Canadian production. 5. The entirety of Canada’s proven reserves would satisfy US consumption for 23 years. 6. US consumption is 7.26 billion barrels per year. It has proven reserves of about 44 billion barrels. 1. Russia produces more oil than Canada and is a net exporter of oil. 2. Russia’s major export markets are Europe and China. 3. China imports over 70% of its oil. 4. India has about 6 billion barrels of proven oil reserves and imports approximately 80% of its oil primarily from the Middle East. 5. India’s demand for oil is 6 million barrels per day (4 times Canadian consumption) and is increasing rapidly. 1. Growth in global oil demand is slowing. 2. Proven oil reserves are increasing with new discoveries and recovery technologies. 3. “Peak Demand” for oil is likely to occur in 20-30 years. 4. At current consumption rates, the world has 53 years of oil remaining. 6. Increased energy efficiency and oil substitutes are contributing to a reduction in oil demand but economic growth is contributing to increased demand. 7. About 65% of oil is used for transportation. 8. Oil accounts for about 37% of total US energy consumption. China as the World’s Largest Economy, “America First”, and Canadian Business. At 10-year average growth rates, China’s GDP will surpass the GDP of the United States by 2023. This will be under US President Trump’s watch (assuming his re-election). The US will then become the world’s second largest economy and, symbolically at least, have less leverage on the world’s economy than it does now. This is hardly new analysis, but it does offer a perspective on why the US is engaging in trade sanctions against China and seemingly becoming more protectionist in its dealings with the rest of the world. But, if China’s growth can be slowed, and US growth increased, the crossover of US and China’s GDP can be delayed. The logic is simple -- trade sanctions against China should reduce China’s exports to the US slowing China’s growth. Tariffs with the rest of the world (particularly those with free or nearly free trade agreements with the US) should lead to more investment in the US than would otherwise be the case. Investment in the US leads to US economic growth. Coupling this with reduced environmental regulations, favourable tax policy for investment, and a move toward greater energy self-sufficiency (albeit based on fossil fuels), the idea is, of course, to “make America great again”. 1. Look forward to continued and escalated trade disputes with Canada particularly in areas where US industry has either excess capacity (steel, some agricultural products, etc.) or the US is a large market with growth potential for domestic capacity and is therefore seemingly ripe for investment (computer manufacturing, automobile parts, uranium(? ), etc.). 2. Expect the United States will continue to prefer bilateralism to multilateralism as the relative power of the US is always larger in bilateral “deals”. 3. Anticipate pressure to relax Canadian impediments to investment (corporate income taxation, capital gains taxes, general regulations, environmental regulations, carbon taxes, etc.). This pressure will come from both Canadian sources (corporate and government) as well as from the US and other foreign investors. 4. Plan for a lessening of US trained experts going abroad as the US tries to stem the outflow of its talent by reducing the prospect of US imports. The US will, conversely, wish to attract “foreign trained” expertise and introduce a points-based (economically motivated) immigration system. 5. Develop strategies for continued downward pressure on the Canadian dollar. While this may be a good thing for exports, it is not good for imports from the US and any benefit to exports may be lost to US tariff barriers. 6. Look to China, India, Europe, and the UK for markets. China and India are growing markets. The UK and Europe, by comparison, are not -- but they are large with positive historic ties to Canada. The “middle east” and other markets where Canada’s reputation is positive should also be explored. 7. US border security will continue to tighten. Reduced freedom of goods and persons to enter the US is a strong implication of the US “America First” strategy. It is possible that some signs of global animosity toward the US will also be taken as justification for heightened security. 8. Expect the US will continue its current policies regardless of the results of the upcoming midterm elections (November 2018) or the next Presidential election. US Republicans are not the only ones who notice the current growth of the US economy (at 4.1% in 2Q 2018) and the prospect of the China crossover. Of course, things can change, and the above analysis may, in time, need revision. But the real question is if Canadian business and governments are prepared for a different relationship with US, China, Europe, and India than we have had before. Consider, for example, supply chains, export markets, talent strategy, intellectual property, risk mitigation, and investment strategies. At the end of the day, the status quo is not likely an option and Canada and Canadian businesses will have to make some decisions. What are we to make of this? First, despite declarations to the contrary, housing is still not a right in Canada. Second, while there has been some progress on emergency weather response in BC, the year-round shelter space remains abysmally under-supplied. Last, but by no means least, the evidently increasing number of homeless persons have little choice but to set up their own shelter solutions, including encampments, risking evictions, injunctions, and personal safety. It is time for advocates and politicians to seriously consider a constitutional amendment making the “right to housing” actually a right.